You must be wondering why some of your friends have a better singing voice than you, even though we all have the same body parts (mouth, vocal cords, lungs, stomach, etc.)? The good news is everyone can sing, as singing is as easy as speaking. If you want to achieve this ability to sing well, I am going to share with you a few easy but very important tips on how to (a) sing better for beginners like you, and (b) avoid some common pitfalls while singing. These are easy but very important tips for beginners to sing better. You must learn diaphragmatic breathing, that is you must breathe deep, and not shallow, into the lower parts of your lungs. Breathe such that your stomach goes out rather than your chest when you inhale. 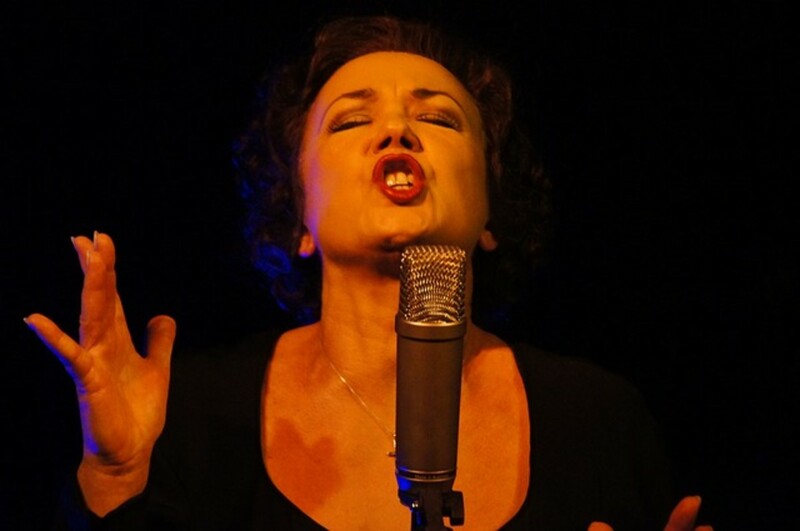 Control the air that you're exhaling, in a sustained and smooth manner, when you sing. Your voice is one of the most fragile and delicate musical instruments, and your vocal cords can get damaged if you do things that it is not ready for. If you ever feel like your voice is straining, or if you feel soreness or pain in your mouth, stop immediately. Do not sing your notes too high immediately without slowly moving higher up the notes with constant practice. Do you know that Mariah Carey has one of the highest vocal ranges among great singers? Straighten your back, and open your mouth wide when you sing. Also open the back of your mouth - this is equally important as allowing the front of the mouth to open. Sing in front of a mirror whenever you can, so that you can watch your correct upright posture, facial expressions, movements and breathing, and determine what is working. Relax the tongue so that it is dominantly resting in the bottom. Monitor your jaw when singing to be sure it is truly relaxed. 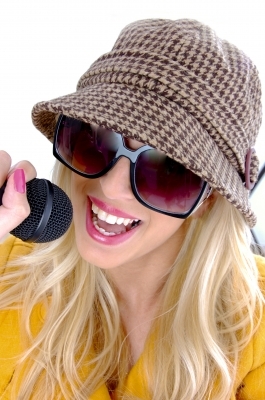 Prior to singing, you should perform vocal exercises to warm up your vocal chords. They improve your singing performance, and prevent injury to your vocal chords. - Singing vowel sounds (A E I O U), from the bottom of the scales to the top, then back to the bottom again. Everyone of us is different physically and psychologically, so that we have our own unique voice and style of singing. Try not to imitate styles of other singers but let your true voice be heard. Eliminate strain and tension from your voice. When singing naturally you can achieve tones, notes and emotions you could never do when restricted. Pay attention to all the little details in a song like rhythm, words, phrasing and diction. Don't do things that can dry out your voice. Drinking caffeine is bad, as is anything that causes mucous buildup, like dairy products (e.g. milk). Don't smoke and don't drink too much. Singing is about emotions, expressions, and acting through a song. It conveys stories, messages and feelings, and can influence listeners. Get emotionally involved with the lyrics in the song, believe what you are singing, and inject it with so much vitality and life. Try to connect to the song through some personal life experience. However you cannot let your feelings rush into your breath and adversely affect your singing. Singing is a very physical activity and you must be energized and excited about what and while you're singing, or else it lacks passion. Singing with power helps you hit higher notes better. Do some light physical activities like walking around a bit before getting started to get you excited. The human voice is a lot less accurate in pitch than a musical instrument like a piano. To get your correct sense of pitch you need to practice music scales a lot. Sing with grace and feel the enjoyment of singing, and you will naturally improve and will not be afraid to be heard! Stay positive! Mindset forms a big part of singing, and if you don't think you sound good, neither will anyone else. Recording is a good way to hear your singing problems, because you can separate yourself from your voice and listen to what other people hear. Make the necessary changes after listening to your recording, and you will improve progressively and start to notice good things you like about your voice and really expand on those good things. You need lots of consistent practice, for example an hour or so a day, then extend the period if you feel like it. With practice comes an increase in your range between the higher and lower notes. You must be committed and focused wholeheartedly on learning everything you can about every aspect of singing. Learn from your mistakes and short comings and keep trying. Take small steps and actions each day towards your singing success, and before you know it, you will be singing like a professional. Learn the correct vocal technique and basics of singing. To discover your true singing voice you must train your voice with proven and effective exercises that eliminate all of the strain and bad habits. For your singing lessons, find the right vocal coach who really understands the science behind how the voice works and has a proven record of successful students, and you can reach great heights of success. No matter what kind of music you sing, this book is one of the quintessential elements of a singer's education on improving your vocals for singing. Tip #15 - Take Action NOW! Enjoy yourself! If you take all these tips to heart, singing could become a habit. These tips above are so easy and simple, and the problem is that too often we fail to observe these points to be able to sing better as beginners. Stop procrastinating and start taking action now to begin singing better. One thing you should always remember is that every professional singer was once an amateur, and all of them at the beginning have had the same thought like you about "how do I sing better as a beginner?" If you would like to learn how to sing better as beginners, you should also personally learn more tips from excellent singing programs. 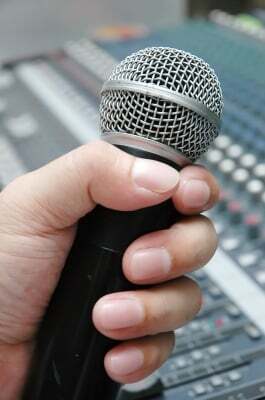 How you hold and use the microphone can affect your singing voice and sound quality. Learn these useful tips on the correct microphone technique for beginners, in order to improve your singing. Thanks for the tips, I will try and use them. @Martin Radford: Regular and consistent practice and exercise is one of the keys to improving and building confidence in one’s singing, and I saw you had that good opportunity from singing in a choir, and as part of the chorus in stage musicals. As you have rightly commented, obtaining proper singing guidance is essential too, which you had the opportunity when singing in a group or choir. Thank you for dropping by and your nice comments. I wish both your choir group and musical group continued success, fun and enjoyment. It always amazes me the number of times that I hear people say, "I can't sing" "I'm to old, voice like a crow, etc. I would say that with a very few exceptions most people could sing if they put there mind to it and took some positive steps. @Besarian: Thank you for stopping by and for deciding to follow the singing tips. You have the advantage of having your mother, who has such a beautiful singing voice that made people cry, to also act as your vocal coach. I am sure you can reach the height of success like your mother or even greater. My mother had a gorgeous big rich voice and sang solos in church that made people cry. I sound just like my dad. I am going to take your advice to heart and work on improving. I especially love the idea of recording to hear what others hear and making adjustments. I think this will help me a lot. Thanks for the great hub! @ladyguitarpicker: Thanks for liking and visiting my Hub. With consistent regular practice, and following the tips on good singing techniques above, you and everyone can extend their vocal range progressively. @geraldine: thanks for dropping by. @hmommers: Thanks for squideliking my lens. With regular practice, our signing voice will improve gradually. It's great to sing! I am not very good at it, but as long as it makes me happy, it's great, isn't it. I do keep it inside, never sing when anybody else is around me. I don't want them to have hurting ears. I love singing, I can sing, not very good but also not like a crying cat ;-) Nice Lens, thank you for sharing. @aesta1: Thanks for squidliking my lens. With regular practice and proper guidance, anyone can sing! These are really good tips. I am often embarrassed to sing. @RetroMom: It is never too late to learn to sing, but do it slowly and progressly with improvements, without straining yourself. Always enjoy yourself when you do it! Useful tips but I am afraid that it is too late for some of us. @julieannbrady: You can do it! Take up a lesson or instruction and follow the simple tips above. Well, my mom has the singing voice in our family ... me? I sing in the shower -- well, not really ... but I do sing in the car with the windows up. 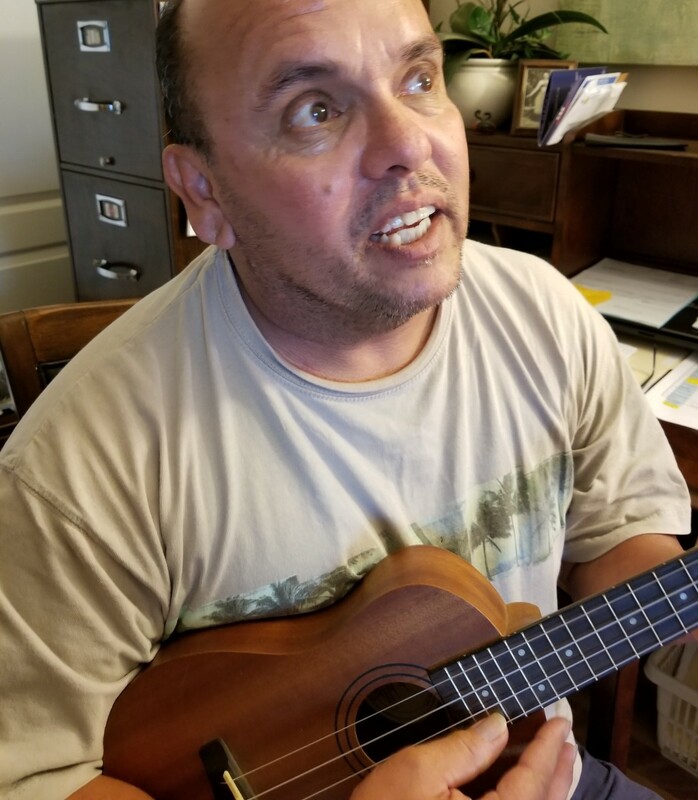 @SueM11: Everyone can sing, but take up a singing instruction or lesson, and follow my tips above, and you are assured you will be able to sing in front of the public with confidence in the near future! That's what I did successsfully when I faced the same situation like you. And thank you for visiting my lens. I love music but am afraid my singing should be confined only to the bathroom.